That was Apple CEO Steve Jobs’ closing remark as he left the stage having just announced the iPad 2 at an event today in San Francisco. And that comment really summed up the vibe of the entire event. When Jobs was on stage, he made it very clear over and over again that the iPad competition out there just doesn’t seem to get it. 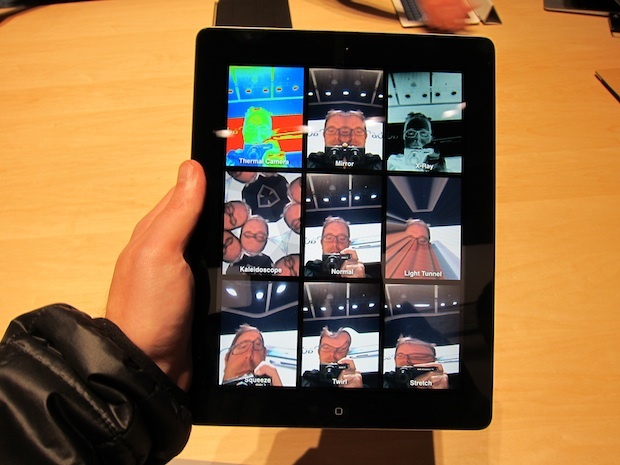 And the iPad 2 is really a bet directly related to that. Apple kicked things off by noting that the iPad 2 was about much more than “marginal improvements”, but the reality is that this is what many people writing about the event will see when they look at the iPad 2. And part of that is Apple’s fault: they go out of their way not give much in terms of specs. Again, that’s all a part of this “post-PC” era. The competition is still focusing on specs in Jobs’ mind. Apple is focusing on the total experience. Does it have a dual-core processor? Yes. But that’s not the important thing. The important thing is that it’s two times faster. That’s something real people care about and can relate to, as opposed to tech journalists. In fact, I’m quite certain the only reason Jobs mentioned the dual-core chip at all was for those of us in the room who were wondering how it would stack up against the Android -powered Motorola Xoom. 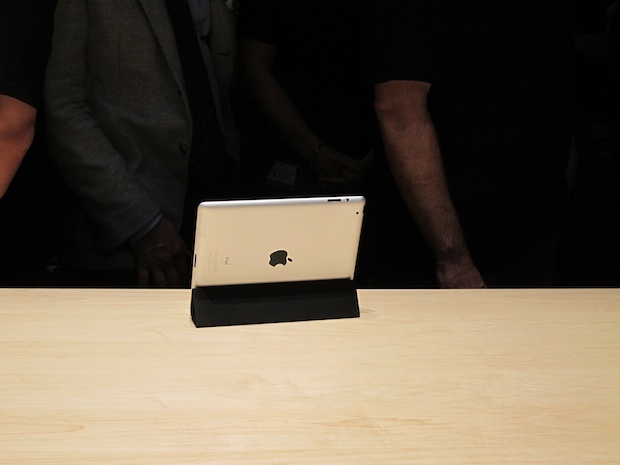 “This will be the first dual-core tablet to ship in volume,” Jobs said, clearly to get a rise out of us in the room. 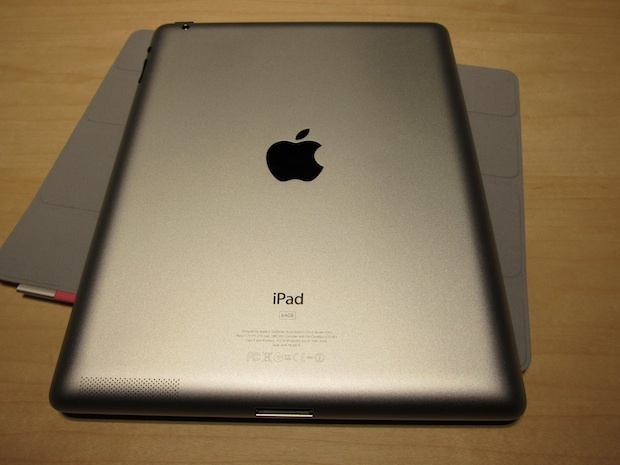 So how does the iPad 2 stack up? I got a chance to play with one for a solid half hour after the event today in the hands-on area. It’s great. It’s everything you love about the original iPad, but better. Some will complain that this isn’t a big enough update to warrant an upgrade cost, but I have no doubt that Apple is going to sell millions of these things — and many of them to iPad 1 owners. When you pick up the iPad 2, it is pretty incredible how much better it feels in your hands than the original iPad. I happened to bring my old iPad with me, so I pulled it out to compare. There is no comparison. 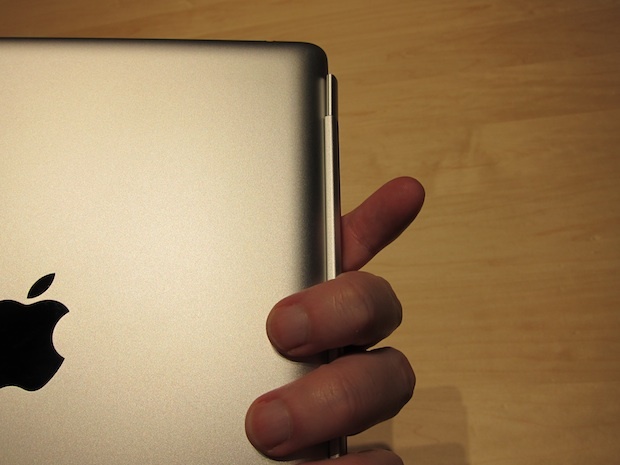 The iPad 2 is much, much nicer to hold. 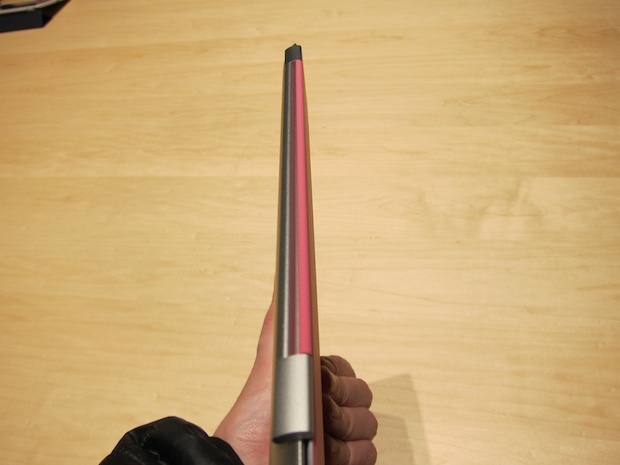 A huge part of this is how thin the iPad 2 is. It has slimmed down from 13.4mm to 8.8mm. It’s now slimmer than an iPhone 4. To be honest, it feels a bit like holding a Kindle now. And that’s a very good thing. Of course, iPad 2 is still significantly heavier than a Kindle. But Apple has managed to take it from 1.5 pounds to 1.3 pounds. 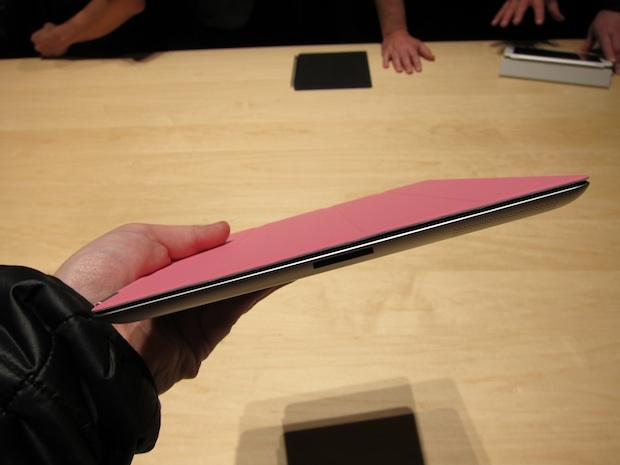 But perhaps just because of the thinness, it does feel significantly lighter to hold. Again, that’s a very good thing. 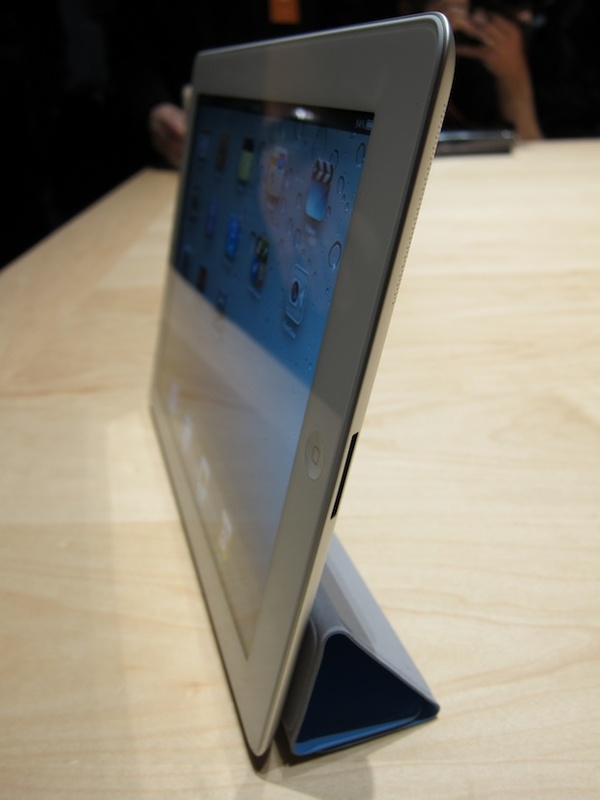 But another key ingredient of the iPad 2 that’s being downplayed a bit today is the new unibody build. This also helps a lot with the feel of the device. It now feels like more of a singular object, whereas the initial iPad felt a bit like a piece of aluminum build to hold a huge piece of glass. iPad 2 feels quite a bit like one of the newer iPod touches, just larger, obviously. And despite the aesthetic changes, Apple says it has been able to maintain the excellent 10 hours battery life — which is great. The new front and rear cameras on the device will obviously be a big selling point for some people. Apple didn’t go into the specs here, but I’m sure the cameras aren’t great from a megapixel standpoint. But again, that’s a spec. The key is that they work well for their intended purpose, which is FaceTime. And yes, they’re very good for that. My initial thought it that the iPad 2 + FaceTime will actually be used a lot more than it is on the Mac, iPod touch, or even iPhone. It seems pretty natural. In terms of speed improvements of the hardware, it’s too hard to say at this point. I played a few games and everything ran perfect, but I can’t really recall this even being an issue with the iPad 1. Perhaps we’ll see developers create apps that can better utilize the new speed. Certainly, iMovie and GarageBand for the iPad needs a lot of power. And both worked really well — a few seconds of loading time, but no lag once you’re doing things. The new color option is nice and will definitely help Apple sell iPad 2s to existing iPad owners. Everyone was crowded around the white ones after the event. 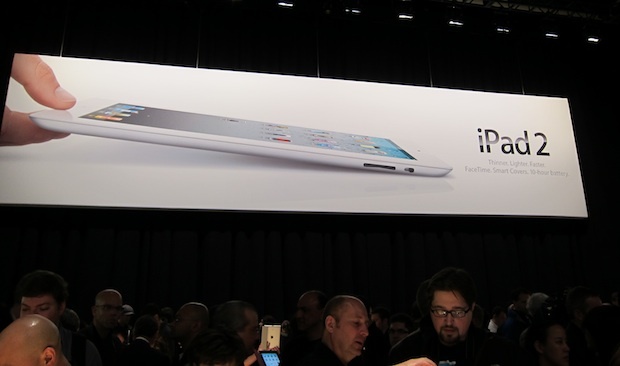 It’s pretty crazy that the white iPad will beat the white iPhone 4 to market. And as crazy as may sound, I still think one of the key highlights today are the new “smart covers”. Simply put: they are awesome. I can’t imagine anyone getting an iPad 2 without getting one of these covers, that’s how good they are. 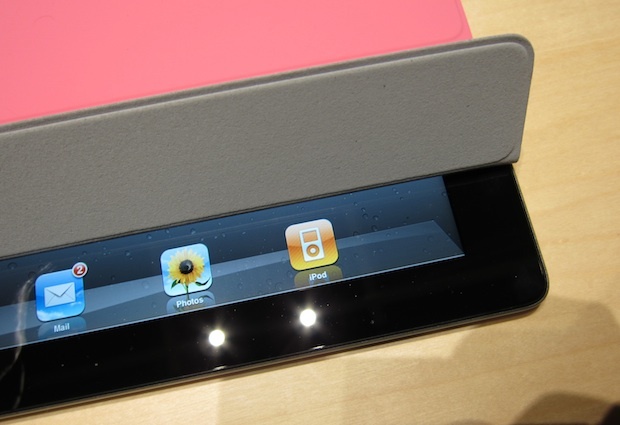 Though it wasn’t announced at the event itself, Apple has apparently dropped the price of the original iPad by $100. 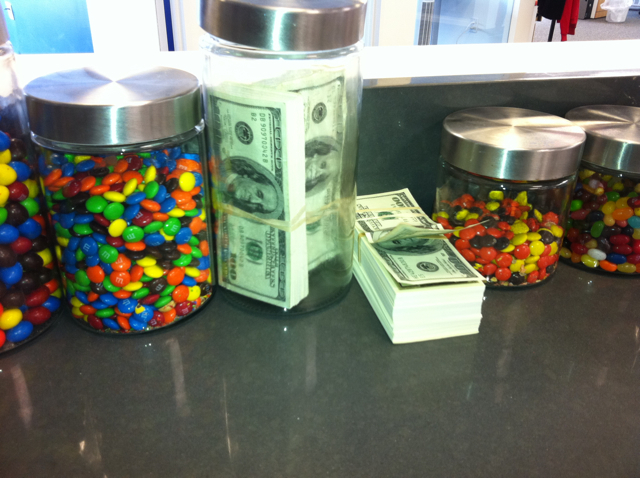 For some people, that price will be enticing. But I suspect that almost everyone will go for iPad 2 instead — it’s well worth the $100 jump (depending on the model you choose to get, obviously). “A lot of folks in this tablet market are rushing in and they’re looking at this as the next PC. Hardware and software are done by different companies and they’re talking about speeds just as they would with PCs. Every bone in our body says this is not the right approach,” Jobs said today. Again, that’s the bet iPad 2 is making. And my initial reaction is that it will pay off. Big time. Yes, even with the potential of another iPad on the not-too-distant horizon. 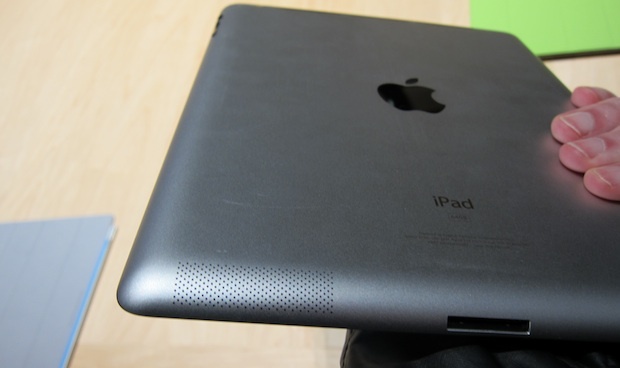 If the market right now is iPad 2 versus the Xoom, let’s be honest, there is no competition.